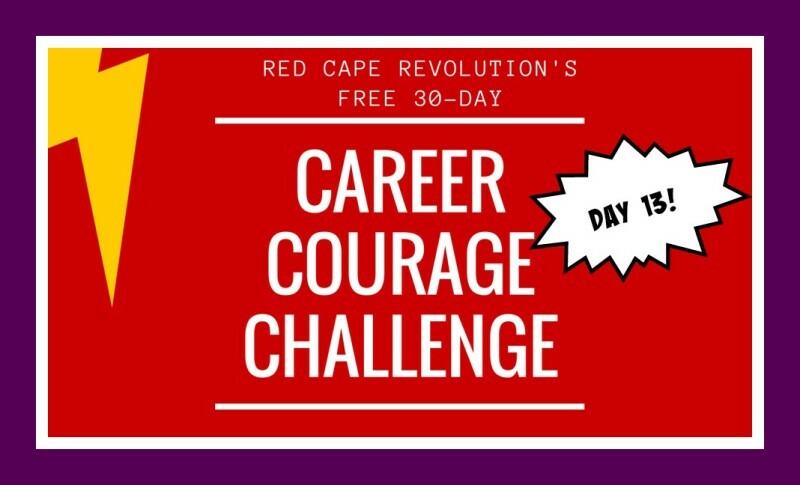 It’s the lucky 13th day of of our Career Courage Challenge! You’re doing great! Love to hear how it’s going for you in the Comments at the end of this article, or on Facebook and LinkedIn, too. And remember, I’ve been taking the challenges along with you and writing my experiences in the Comments. You’ve been going strong for a while now, taking challenge after challenge. Most of them ask you to do more, to do something. Now, it’s time to take a deep breath and decide to stop doing something. Yes, you heard me right. Stop doing something. Pick something that isn’t part of your superpowers. Something that drags you down rather than lifting you up. Something that might be better delegated, or even deleted, from your to-do-list. It definitely takes courage to stop doing something that you’ve always done (or have always felt you needed to do.) But what if you stopped? What would (or wouldn’t happen)? And would it matter–or did it ever? For this challenge, I’m stopping participating in a weekly only forum I often felt I needed to be “seen” in. If I’m missed, I’m missed, but I’ve been only half-heartedly present and will feel more respectful to the leaders and to myself if I just stop attending. How about you? What will you stop?